Four men sat down to play. They played all night till break of day. They played for gold and not for fun. When they had come to square accounts. Can you the paradox explain. If no one lost, how all could gain? 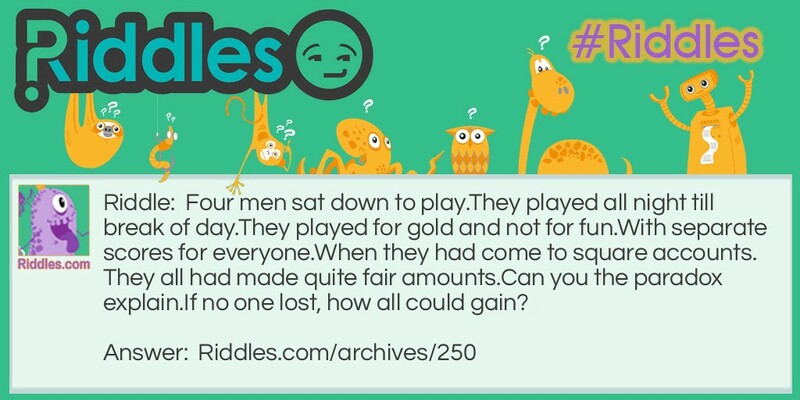 Winning Game Riddle Meme with riddle and answer page link.